Intel's forecast for the fourth quarter of 2010 is for better-than-expected sales in the forthcoming holiday season. That sound you just heard? A collective sigh of relief from across the tech industry. Intel's Q4 outlook is boosted by increasing demand from emerging markets and corporations, which far outweigh the dip in consumer spending in the west. Shares of Intel and competing chip manufacturer Advanced Micro Devices (AMD) were up 1 per cent in after-hours trade, following the news. 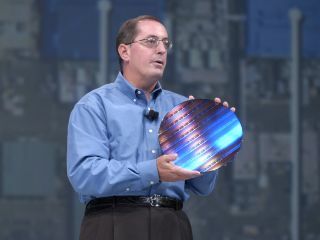 Chief Executive Paul Otellini told analysts that early demand for Sandy Bridge – Intel's next-gen chip combining CPU and graphics functions - was notably higher than originally anticipated. "We'll see the consumer market growing but likely a little less than you'd normally expect. I attribute that to consumers pulling back a little bit based on economic uncertainty," Intel's Chief Financial Officer Stacy Smith told Reuters.